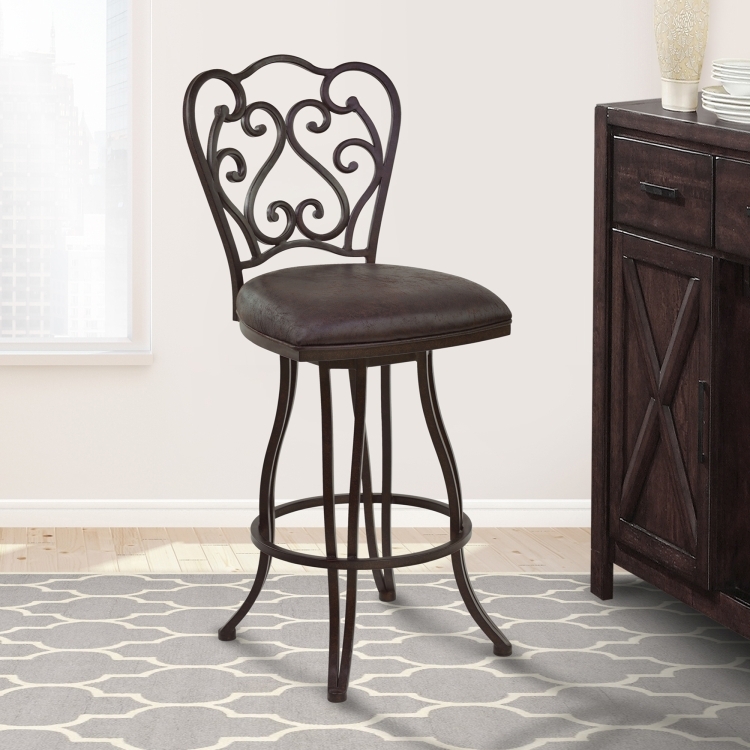 Description: The Armen Living Celeste vintage swivel barstool is ornately styled and sophisticated, offering a high degree of both comfort and elegance. 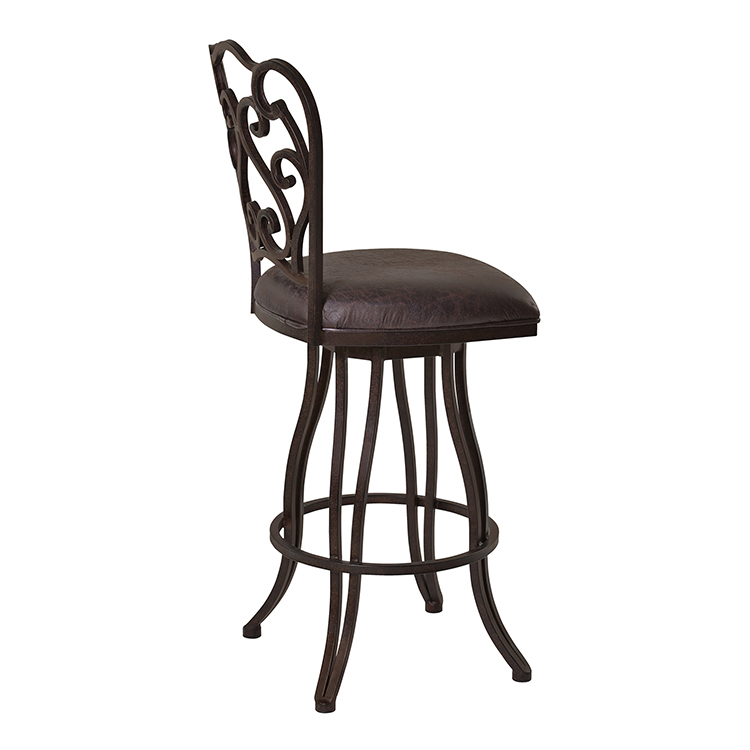 The Celeste barstool is a beautiful transitional piece that is sure to be a wonderful addition to any dining and living room. 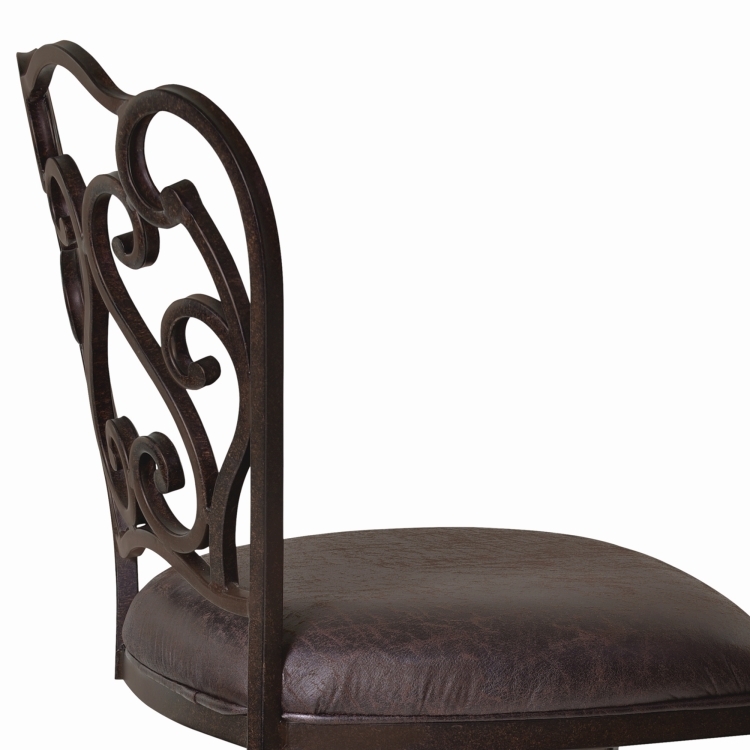 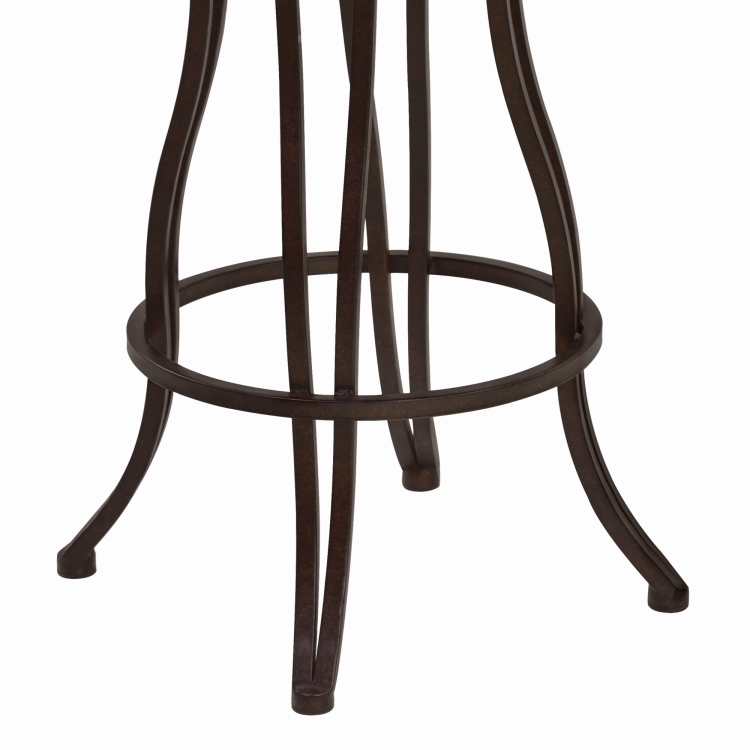 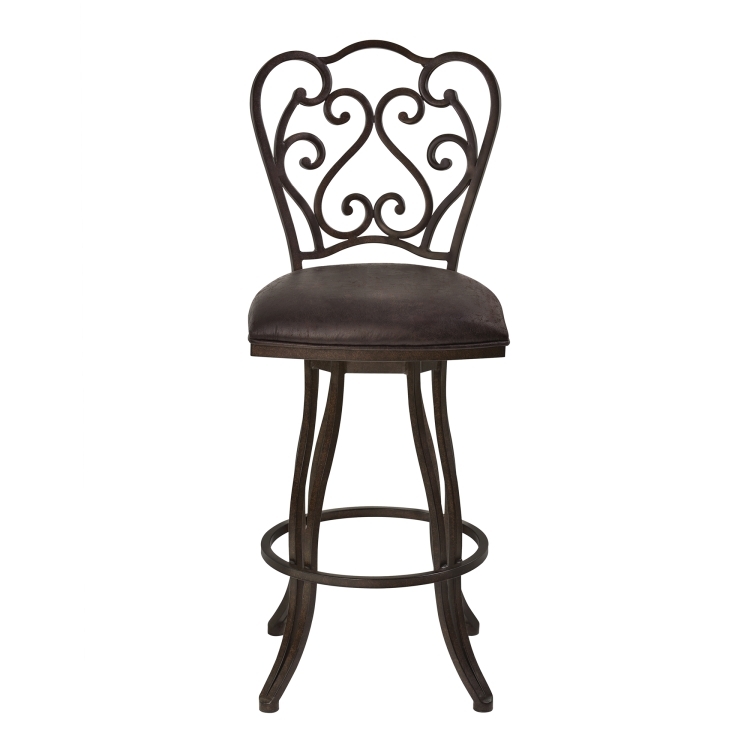 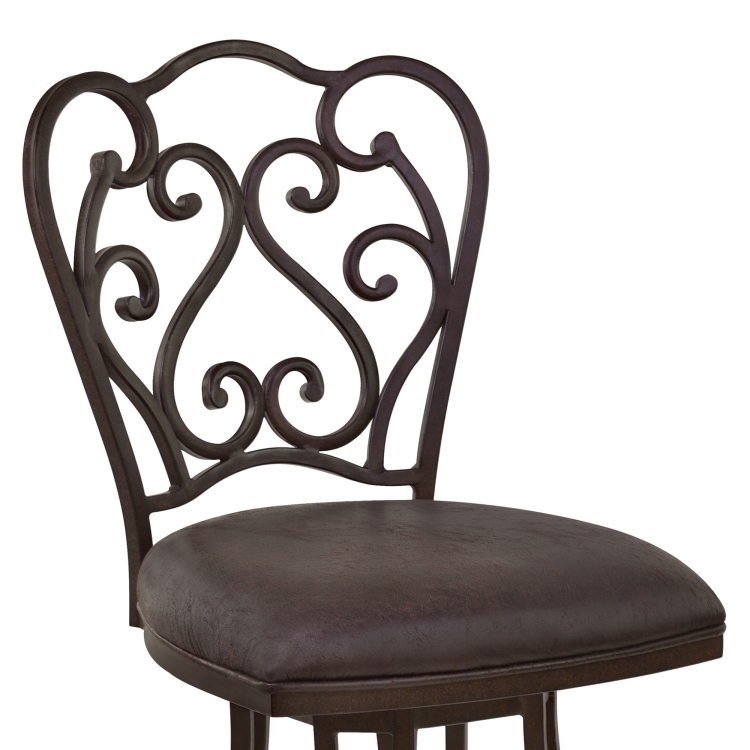 This exquisit auburn bay finished barstool comes in a choice of vintage black or bandero expresso upholstery. 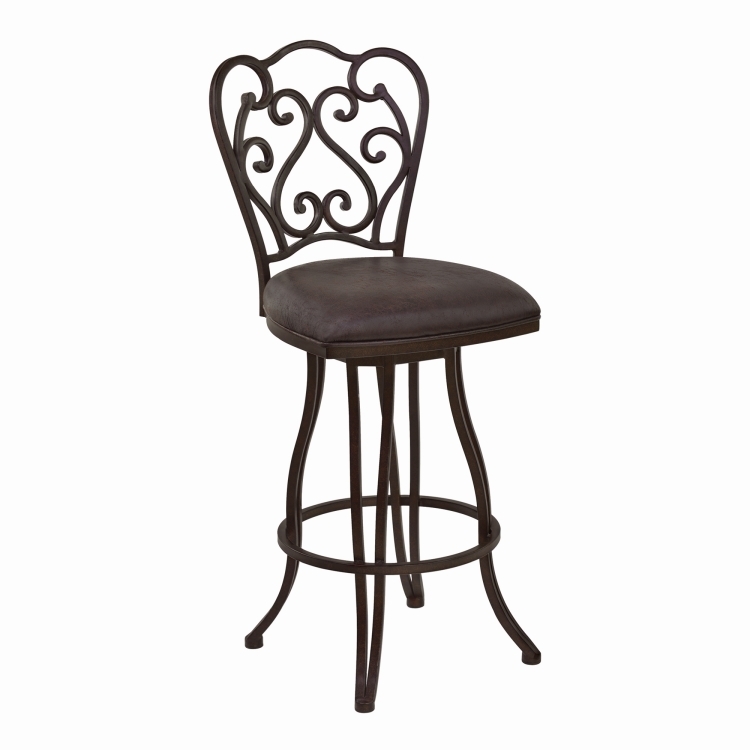 The Celeste is available in 26 inch counter and 30 inch bar height.